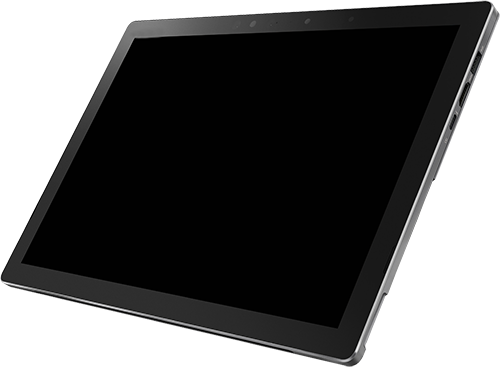 The world’s most advanced eye-driven tablet communication system. Internationally trusted and locally loved, our Eyegaze Edge® continues to be the device of choice by locked-in users and their SLPs. How does the Eyegaze Edge® work? A special eye tracking camera mounted below the Eyegaze Edge screen observes one of the user’s eyes. Sophisticated image processing software analyzes the camera’s images 60 times each second and determines where the user is looking on the screen. Nothing is attached to the user’s head or body. A less than 15 second calibration procedure is required to set up the system for a particular user. The user looks at a small calibration point as it moves around the screen. There is no need to recalibrate if the user moves away from the screen and returns later. A user operates the system by looking at rectangular “keys” or cells that are displayed on the control screen. To “press” a key, the user looks at the key for a specified period of time. The gaze duration required to visually activate a key, typically about ½ second, can be adjusted by the user. An array of menu keys and exit keys allow the user to navigate the Eyegaze programs independently. I have been using the Eyegaze system for a little over 4 years now since I lost the ability to move the mouse with my hands due to ALS. The ability to access the computer with the Eyegaze System has probably been the greatest contributor of my quality of life. The Eyegaze Edge® is designed so that people from multiple locked-in diagnoses can take their lives back. Calibration takes only 15 seconds. That’s how fast you’ll be connected. Generate speech by typing a message or selecting pre-programmed phrases. Integrate with a cellular device. 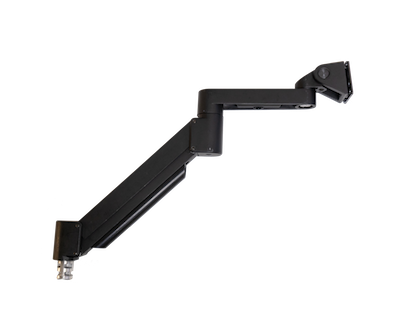 The Eyegaze Edge® allows you to control any app or program with ease. Control entertainment and sound systems, lights, and switches with infrared frequencies and radio waves. Web access designed for Eyegaze® input. Send and receive messages and pictures. Our low light camera minimizes fatigue and accommodates for droopy eyelids. 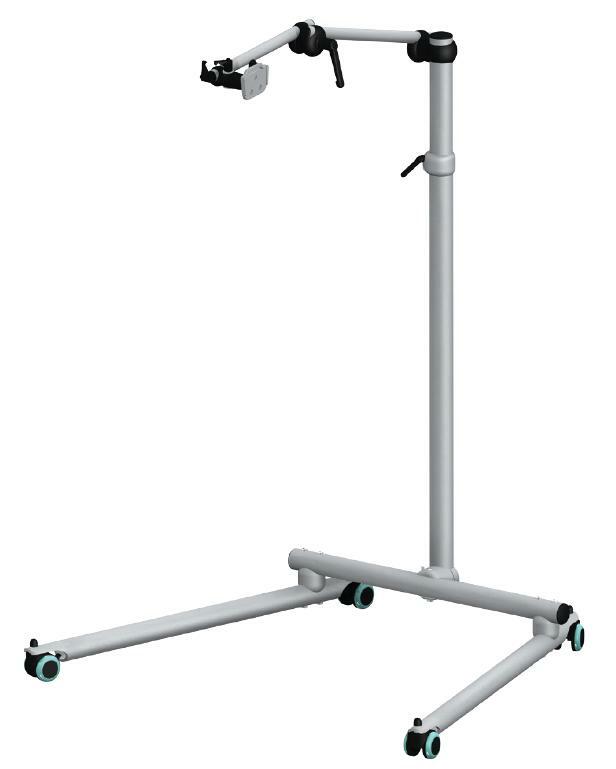 The Eyegaze Edge® comes with an articulating adjustable arm table mount. If you require more options, we offer three additional packages. We offer multiple options depending on your unique mounting needs. 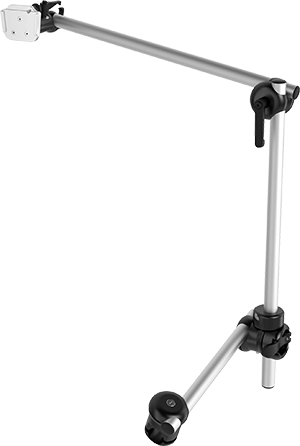 The Eyegaze Edge® comes with a variety of software and accessories to meet the user’s needs. A web browser tailored for eye-tracking accessibility. Eyeworld World 3.0 is LC Technologies’ modified version of the Grid 3 which is designed for users of all ages. It’s your portal to access computer functionality and communication. Included within this suite is almost everything a user would need to do modern computer interactions: Internet, Chat, Mail, Phone Text/Calling, Computer Control, Environmental Controls and much more. Connect to and use regular Windows and Mac devices with the Eyegaze Edge®. 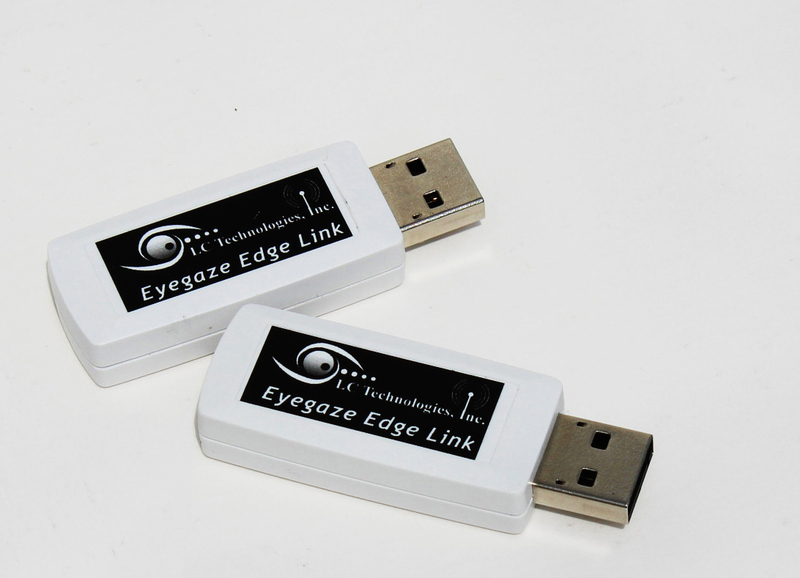 LC Technologies’ patented Eyegaze Edge® Link for computer access turns the Eyegaze Edge into wireless peripheral keyboard and mouse interface to any Windows or Mac computer or any other device which can be controlled with a USB keyboard and mouse. Typed text appears simultaneously on the screens of both the Eyegaze and the device being controlled. 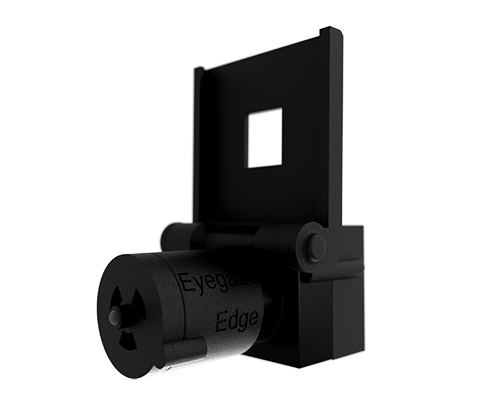 Use the Eyegaze Edge® to control lights, locks, temperature, and more. UIRT Environmental Control along with Eyeworld 3.0, allows your PC to both receive and transmit infrared signals — exactly like those used by the collection of remote controls you’ve acquired for your TV, VCR, Audio System, etc. UIRT stands for Universal Infrared Receiver/Transmitter. Extra-long battery life for users on the go. 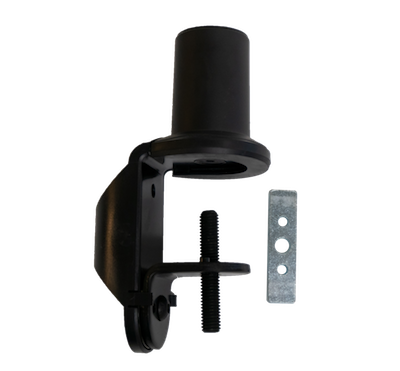 Eyegaze Edge Endurance Pack provides additional battery power for Eyegaze users who are often away from power sockets, can extend your Eyegaze communication system’s duration time by up to 15 hours! Battery Life 8 hours Manufacturer – Battery life varies based on use and power settings. The tablet is just the beginning. When you purchase an Eyegaze Edge®, you get a lot more than just the tablet. 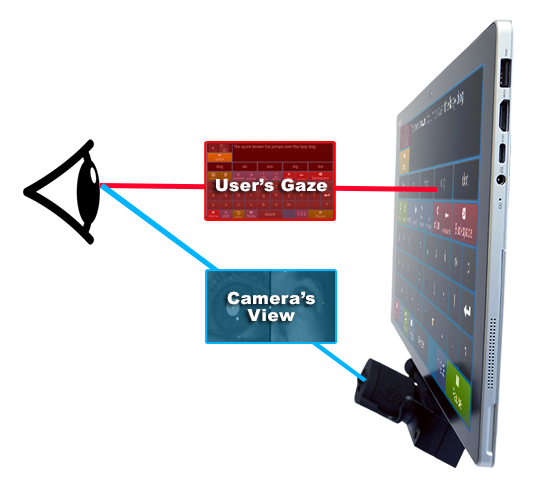 LC Technologies offers full-fledged support for Eyegaze users. Our base package includes installation, setup, user and caregiver training, user support, and technical support for up to a year. Is this device for a user with one of the following conditions?